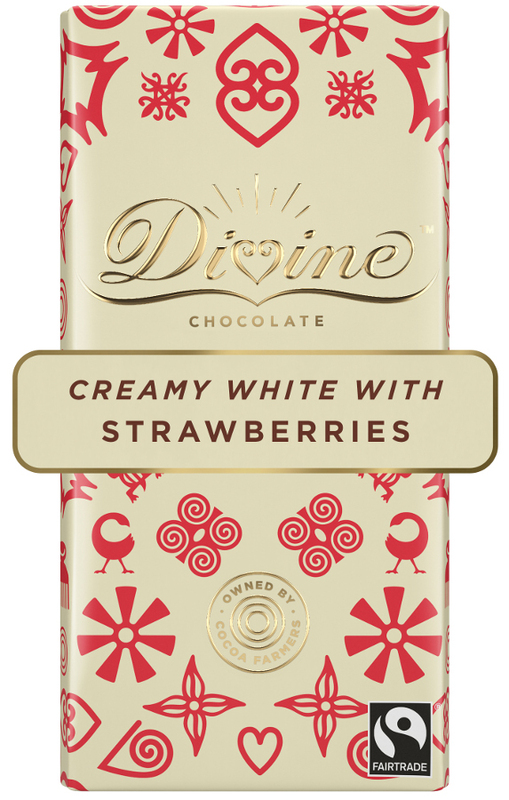 Strawberry pieces enveloped in gloriously creamy white chocolate- the quintessential taste of summer all year round. 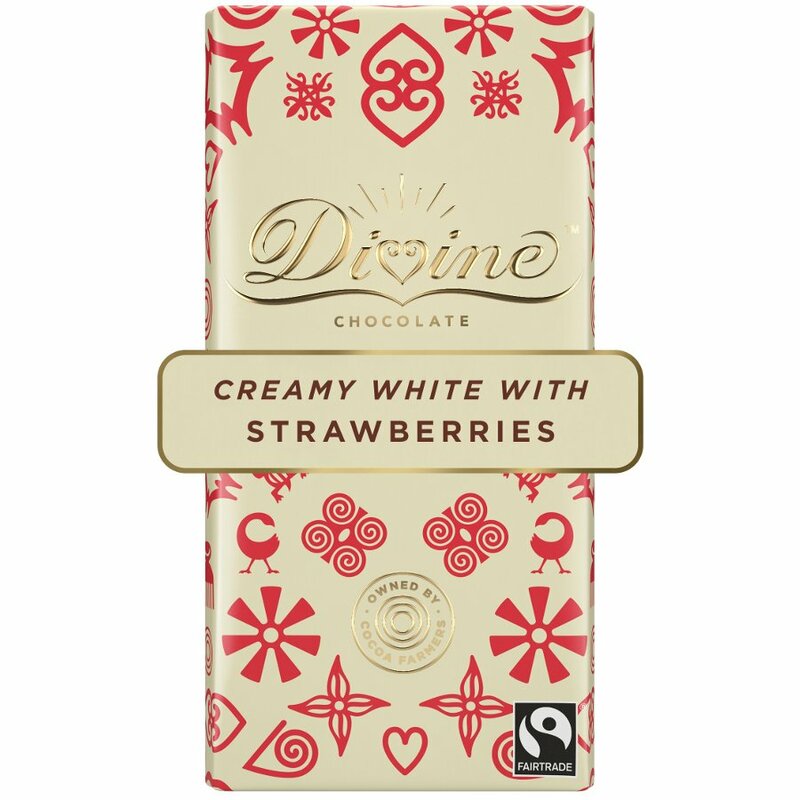 Fairtrade sugar, Fairtrade cocoa butter, skimmed milk powder, butterfat, strawberry crisp (3%) (maltodextrin, strawberries, sugar, modified starch, thickener: sodium alginate, natural strawberry flavour, acidifier: citric acid) emulsifier: sunflower lecithin, Fairtrade vanilla. Free from artificial flavourings, colouring and preservatives. 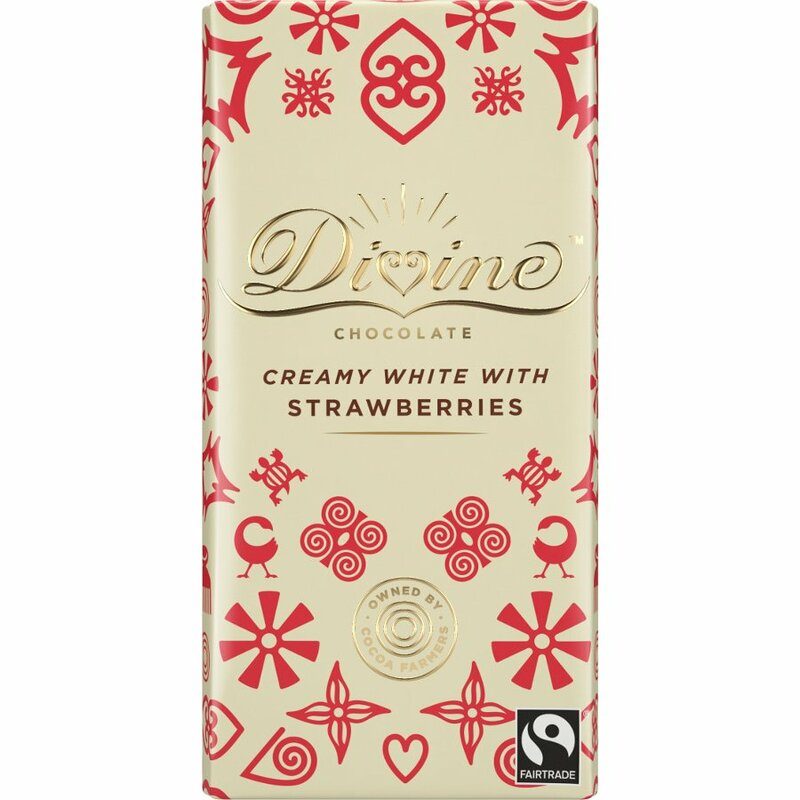 There are currently no questions to display about Divine White Chocolate with Strawberries.